UKTV has posted an 11% jump in annual profit to a record £91m and claimed it can continue growing its advertising share after striking a new carriage deal with Sky. Darren Childs, the chief executive of UKTV, said he was "reasonably confident" that the TV ad market can "come back" from the declines seen since the Brexit vote in June 2016, although he suggested Theresa May's snap general election this June has made the short-term outlook more uncertain. He expects the TV ad market to end 2017 between flat and up 1% – better than many analysts are currently forecasting. UKTV’s portfolio of ten channels, including Dave, W and Gold, had a strong 2016 with record revenues, which climbed 8% to £344.8m, fuelled in part by continued growth in its share of commercial viewing. Its share of commercial impacts, or Soci, rose to a record 9.85% – ahead of the Channel 5 and Sky portfolio of channels and closing in on ITV’s digital channels. Childs reckons UKTV’s SOCI is on course to hit 10% within the year. 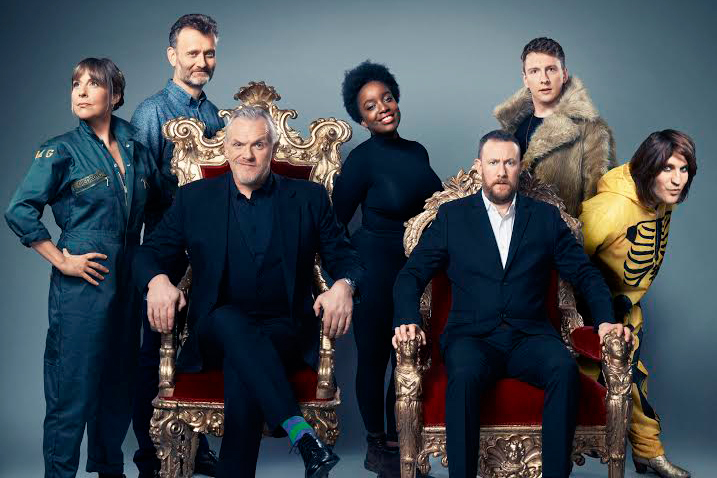 He credited UKTV’s decision to invest in more original shows such as Taskmaster and Dave Gorman Modern Life is Goodish for boosting viewing, after increasing the programming budget last year to £151.2m, although that was a rise of only £3.3m. Childs admitted he is taking a cautious approach to investment in 2017 because of the uncertain political outlook and declined to say what he is spending on programming as he watches how the year unfolds. Asked if he planned to increase spend this year, Childs said: "Let’s hope so." However, Childs was optimistic that UKTV has "great headroom" to continue increasing revenues, after striking what he said were improved deals with Sky and Channel 4. "It's very important for future-proofing our business," he said. The new carriage deal with Sky, announced today, will mean UKTV’s video on demand service, UKTV Play, will feature on the pay-TV platform for the first time – on both Sky and sister streaming service Now TV. UKTV previously announced a new, long-term deal to keep outsourcing its ad sales to Channel 4 in January. While financial terms were not disclosed, it is thought UKTV’s increase in viewing has allowed it to win more favourable terms from both Sky and Channel 4, particularly for video-on-demand. "We will invest more in VOD because our new advertising deal makes investment in on-demand services attractive," Childs said, describing UKTV Play as "our fastest-growing" brand. VOD is "increasing our capability to use data to better serve advertisers", Childs added, explaining how Sky will offer "dynamic ad insertion" in UKTV Play. Childs said a strategic decision to increase UKTV’s involvement in free-to-air TV meant in the region of two-thirds of group revenues now come from advertising – a major shift from 2010 when he took charge and ad revenues were less than half of the business. UKTV’s operating profits before exceptional items, known as Ebitda, have risen 35% over three years between 2014 and 2016 and revenues have climbed 24% over the same period. Childs wants UKTV, which is co-owned by BBC Worldwide and Scripps, to diversify and is launching a "multi-million pound" Innovation Fund that will take equity stakes in high-growth businesses in return for TV air-time. The UKTV Innovation Fund will work in partnership with Channel 4’s Commercial Growth Fund, which already makes such investments. Childs is also planning more original entertainment shows, including Davina on W, presented by Davina McCall, who "will lead a thought-provoking exploration of a different contemporary issue each week", and Porters on Dave, a comedy set in the world of hospital porters. Childs declined to comment on whether he is interested in taking over from David Abraham, who is stepping down as chief executive of Channel 4. The future of TV: will the Cloud reign?